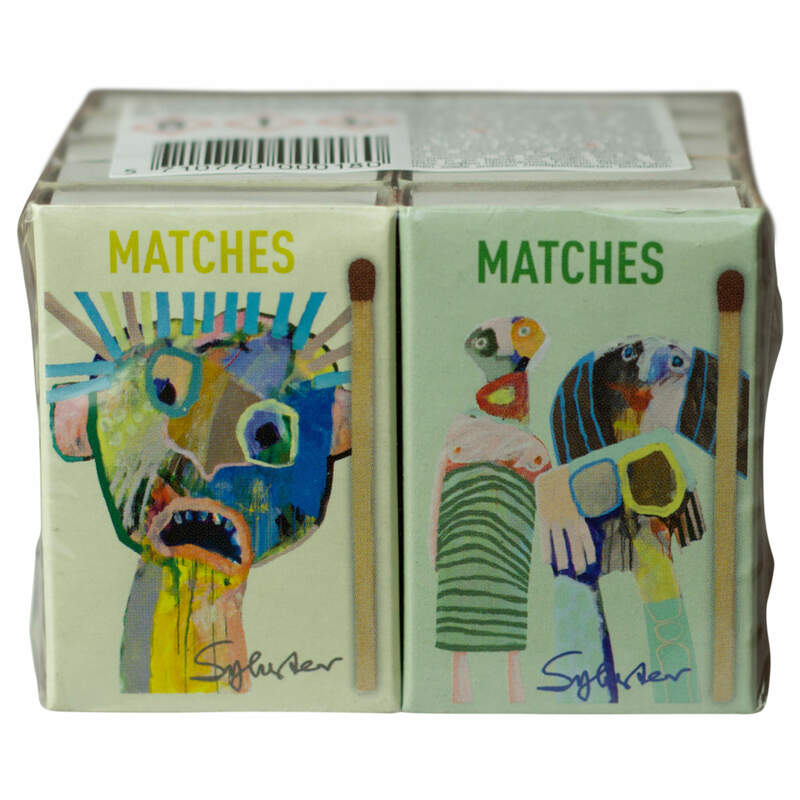 LEIF SYLVESTER SHORT SAFETY MATCHES. 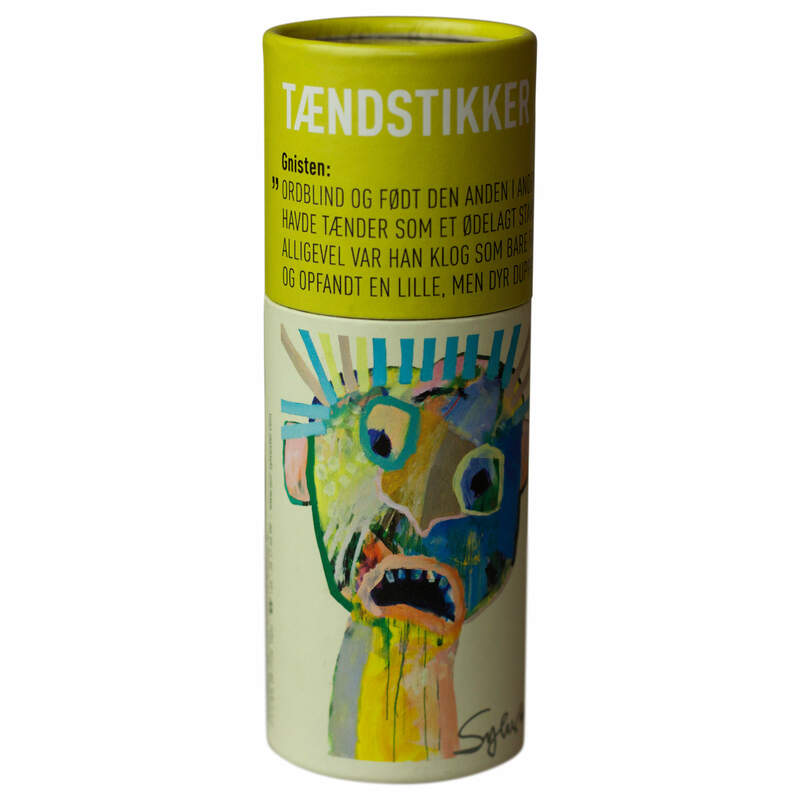 Match box designed by the Danish artist Leif Sylvester with a spark of humor. 6 different motives. Content: 10 boxes of short safety matches wrapped in clear foil. Design motives randomly mixed. We therefore cannot guarantee that all 6 motives are available in one bundle of 10 boxes. App. 38 safety matches per match box, 43 mm aspen wood sticks impregnated with paraffin wax. Consumer information according CLP regulation. 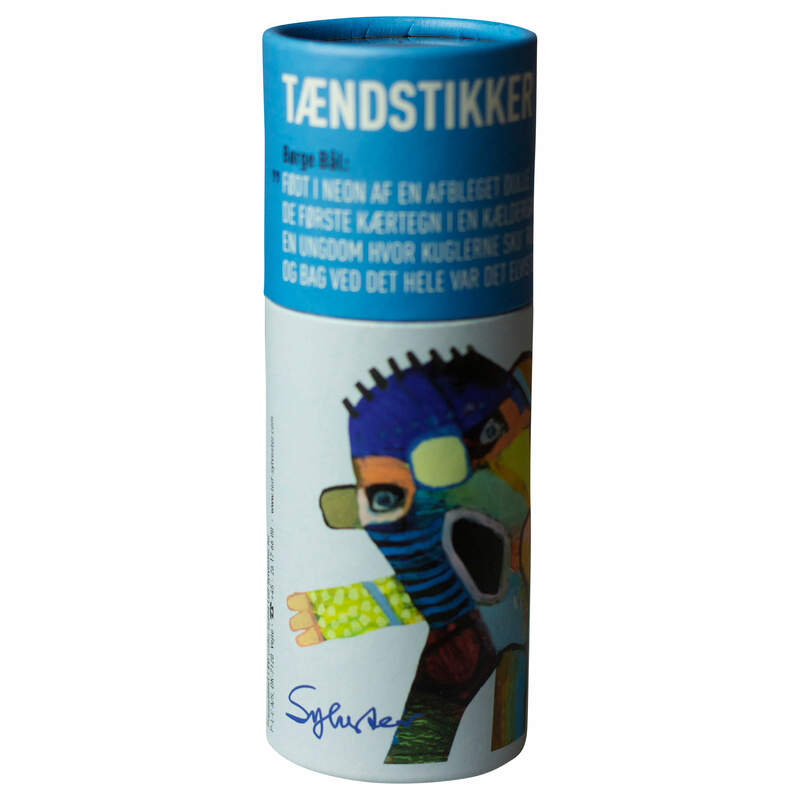 The safety matches are produced in the EU according to EN:1783:1997:SAF. Potassium chlorate. Danger. May cause fire or explosion; strong oxidiser. Harmful if swallowed or if inhaled. Toxic to aquatic life with long lasting effects. Keep away from heat, hot surfaces, sparks, open flames and other ignition sources. How to store: Keep out of reach of children. Store in a dry place at temperatures between 5–25 °C. Hold the match away from your body when lighting it. FAKTA BOX: Article no. 16380, Consumer unit EAN 5710770000180. Directions for use on consumer unit in languages: DK, NO, SE, GB, DE. 24 consumer units per carton for distribution. Carton EAN 5710770100361. 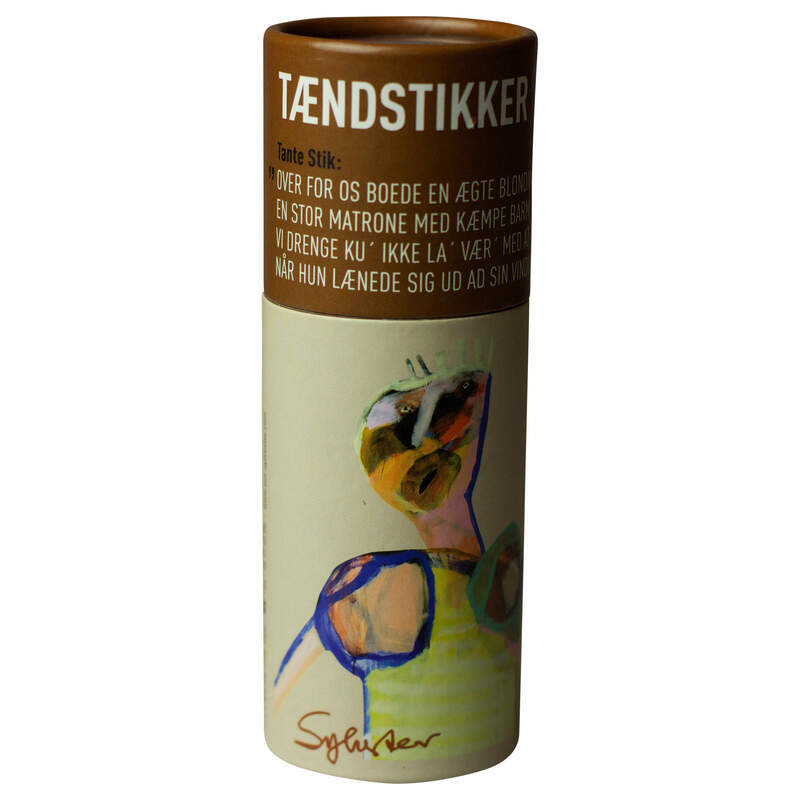 LEIF SYLVESTER LONG SAFETY MATCHES. Standing table model of box of matches that deserves to be seen. Welcome to the family of fire. 6 different versions with a Leif Sylvester motive. 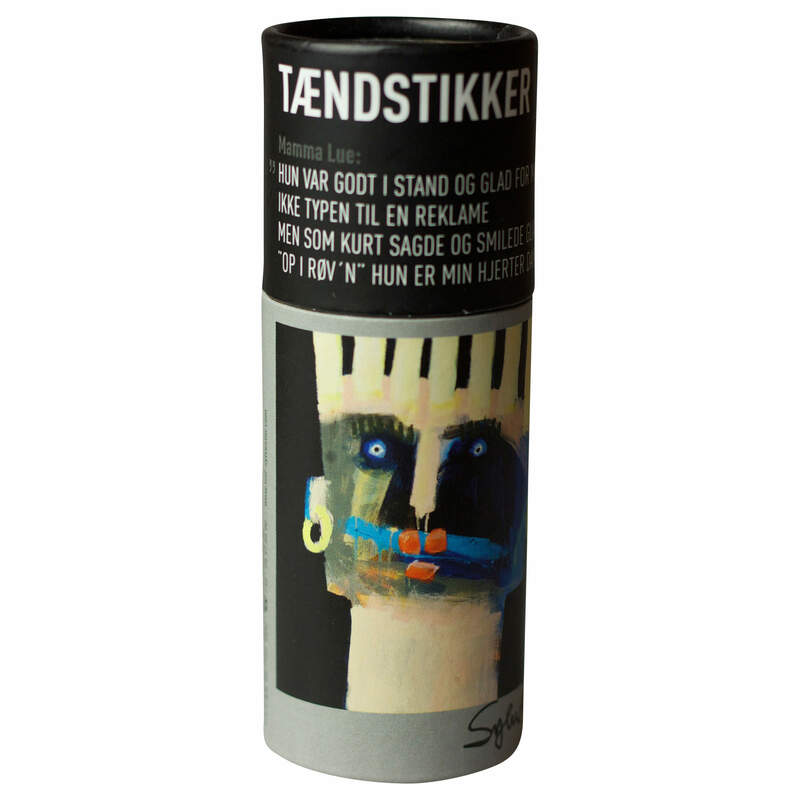 Each version contains a rhyme of Leif Sylvester from the book "Mig og de andre". About love in daily life, about the song of life and what I saw. Hope it will bring a smile into everyday life. Content: App. 45 safety matches per match box (standing table model). 94 mm aspen wood sticks impregnated with paraffin wax. 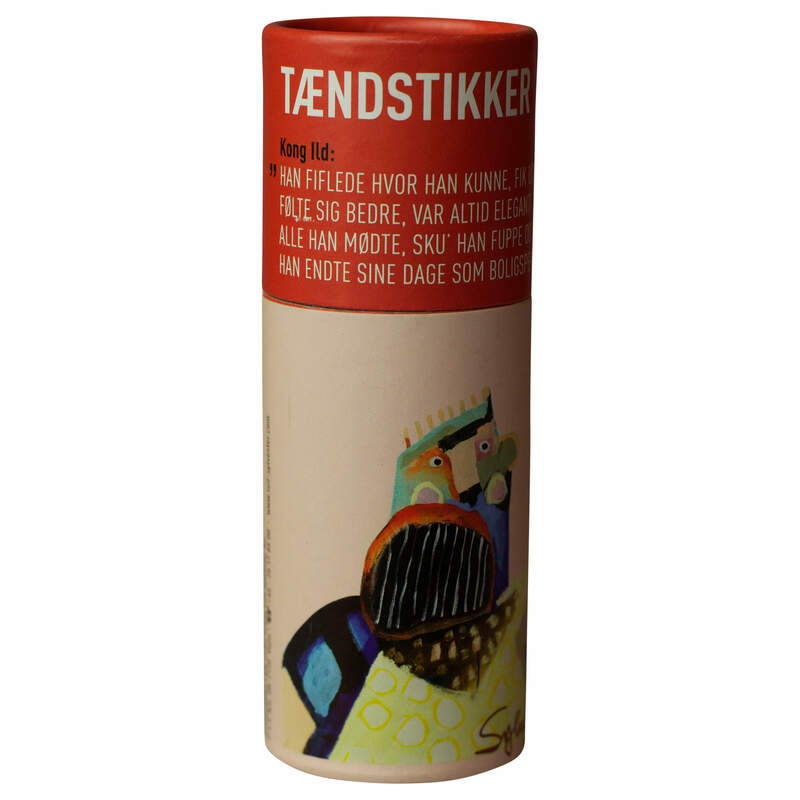 Extra-long matches especially suited for lighting candles, wood burning stoves, fireplaces and grills. Consumer information according CLP regulation. The safety matches are produced in the EU according to EN:1783:1997:SAF. Potassium chlorate. Danger. May cause fire or explosion; strong oxidiser. Harmful if swallowed or if inhaled. Keep away from heat, hot surfaces, sparks, open flames and other ignition sources. How to store: Keep out of reach of children. Store in a dry place at temperatures between 5–25 °C. Hold the match away from your body when lighting it. Ignition plate is located at the bottom of the box. When you buy these matches you contribute with us. 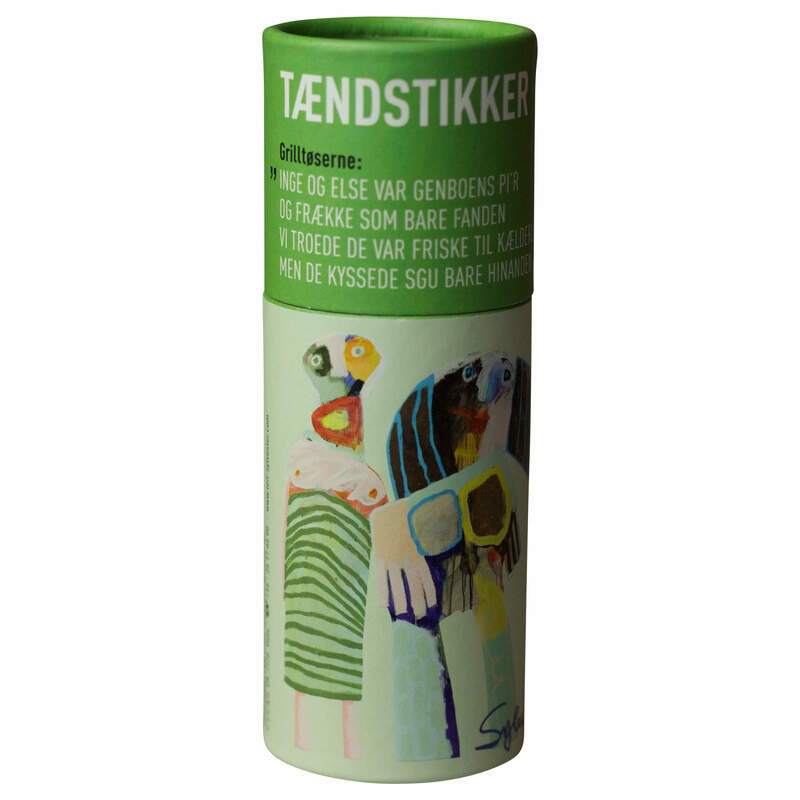 DKK 0.25 per box goes untouched to Association of Downs Syndrome Denmark. We hope it will bring joy to people who have to fight a bit harder every day. FAKTA BOX: Article no. 26451, Consumer unit EAN 5710770000210. Directions for use on consumer unit in languages: DK. 12 consumer units per carton for distribution (2 of each design motive). Carton EAN 5710770100378.